Fortunately, there are solutions that are kinder to the environment and your wallet. You can clean anything in your home in a less toxic way, often with ingredients that you already have on hand. There are even dozens of ways to clean with plain white vinegar alone. And you don’t have to sacrifice a fresh-smelling home when you give up artificial fragrances when you use essential oils. We’ve got 12 ways to clean your house that are healthier for your body, your wallet, and the environment. Mother Earth thanks you! Scented Vinegar Rinse: Adding a splash of vinegar to your wash is a great alternative to fabric softener. However, if you miss the scent of softener, you can get the eco-friendly benefits without the harsh chemicals by making a scented vinegar rinse. Homemade Deodorizing Discs: Put these easy-to-make discs anywhere you'd like to cut the smell: trash cans, diaper pails, behind the toilet, etc. Clean Tarnished Cookie Sheets: Give your sad, tarnished cookie sheets new life easily instead of going out and buying new ones. Just add hydrogen peroxide to baking soda to make a paste, and spread it on your pan. Give it a couple hours and then wipe away — no scrubbing! Black Tea Window Cleaner: Black tea is a great morning beverage, but it turns out that it's also an excellent way to clean your windows. The tannic acid in the tea helps dissolve dirt and grease on the windows. 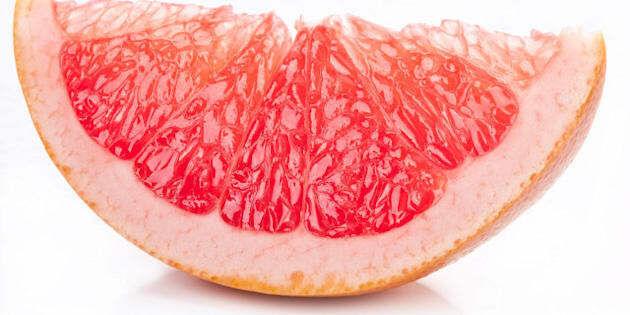 Grapefruit Tub Scrub: Try this. Instead of using a caustic tub scrub: cut a grapefruit in half, sprinkle each half with salt, and squeeze to juice as you're cleaning. Then you just rinse and enjoy the great smell left behind. Natural Disinfectants: There are some surfaces you'd just prefer to disinfect — kitchen counters, toilet seats. Fortunately, as Tipnut shows with this impressive list of homemade solutions, you can make all-natural disinfectants with ingredients like tea tree oil, borax, and grapefruit seed extract. Reusable Dryer Sheets: Disposable dryer sheets are wasteful, but that extra boost of scent and softening to finish your laundry can be nice. Life Renewed gives instructions for making your own dryer sheets, either with a store-bought natural detergent or one you make yourself. a bonus, it gives your floors a beautiful shine. Natural Toilet Cleaners: You have to be careful with toilet cleaners, because some ingredients aren't safe to use. There are no worries about these two solutions from Frugally Sustainable: one for a soft scrub, and one for a bowl cleaner. Get Burnt Pans Clean: Here's a solution for burnt pans that is both natural and cuts your scrubbing time. Fill the bottom of the pan with water, then add a cup of vinegar and boil. Remove the pan from the heat and add baking soda, then empty and scour as normal. All-Purpose Cleaner: This all-purpose cleaner is made from ingredients you probably have in the house already and can be used to clean everything from counters to the litter box. You can even add a half cup of this cleaner to laundry to whiten. Drain Unclogger: Have a sluggish drain? Think about grade-school science projects: the baking soda and vinegar that made your homemade volcano fizz can also unclog your drain.